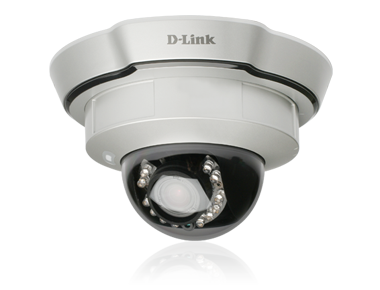 The DCS-6111 is a fixed dome type network camera designed to target middle market. It uses the WDR VGA Progressive CMOS technology for better performance under different lighting conditions delivering exceptional picture quality. The Wide Dynamic Range capability achieves high resolution, more detailed images in high contrast lighting conditions (for example, strong backlight) and significantly improves the quality of real-time videos. 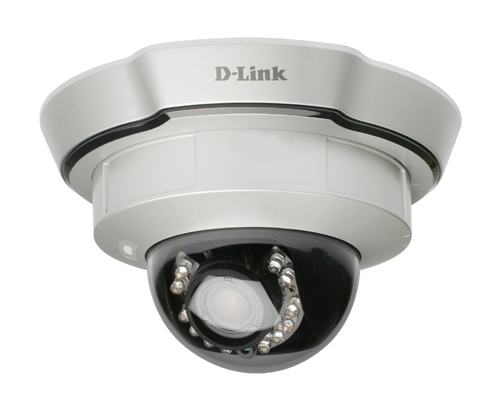 The DCS-6111 also incorporates an auto-iris varifocal lens equipped with IR LEDs that offers more flexibility and enhanced security, thus making it an ideal solution for 24/7 hour surveillance. The DCS-6111 has a unique built-in three axis mechanism that can be drop-mounted from the ceiling for an unobtrusive look, or mounted on a wall, all with the same housing design. For optimal detection, the DCS-6111 is recommended for indoor ceiling mounting, to prevent possible damage that maybe caused by a burglar. For effective surveillance in and around a building, this camera comes with a built-in 802.3af compliant Power Over Ethernet (PoE) module, which eases the installation process and also gives users the freedom to place the camera anywhere. In addition, the 10/100BASE-TX Ethernet port is also provided for convenient Ethernet connection or broadband internet gateway with router.